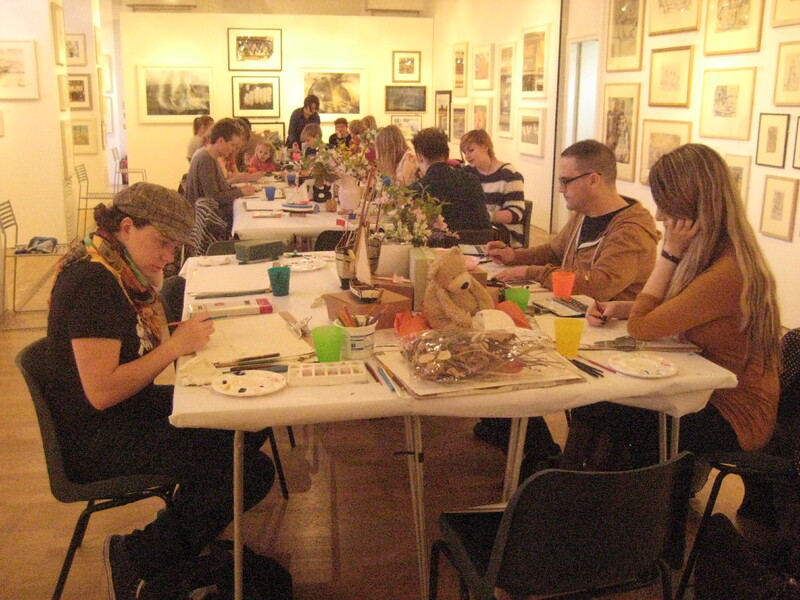 On Wednesday RWS artists were at Bankside Gallery for a free drop in painting/drawing day. Exhausting but fun and very rewarding when the results are so good. Everyone looks proud and happy with their work – sometimes the concentration in the gallery was so intense you could have heard a pin drop! Good day all round – thank you to everyone who dropped in and had a go. 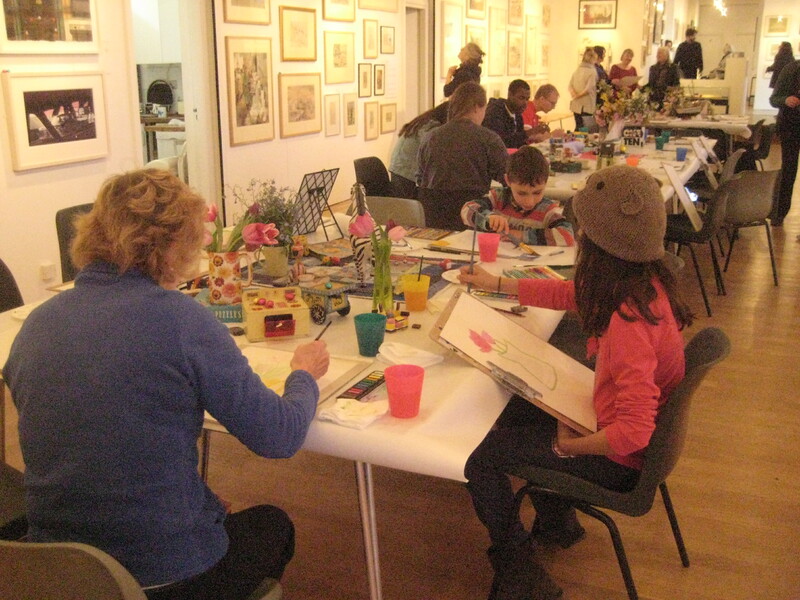 This entry was posted in A day out, acrylic, Art, artists, Drawing, Exhibitions, Family, Life, London, Painting, Royal Watercolour Society, Uncategorized and tagged art, colour, favourite things, London, play, South bank, sweets, toys. Bookmark the permalink.